Business offices have watercoolers - schools have libraries. 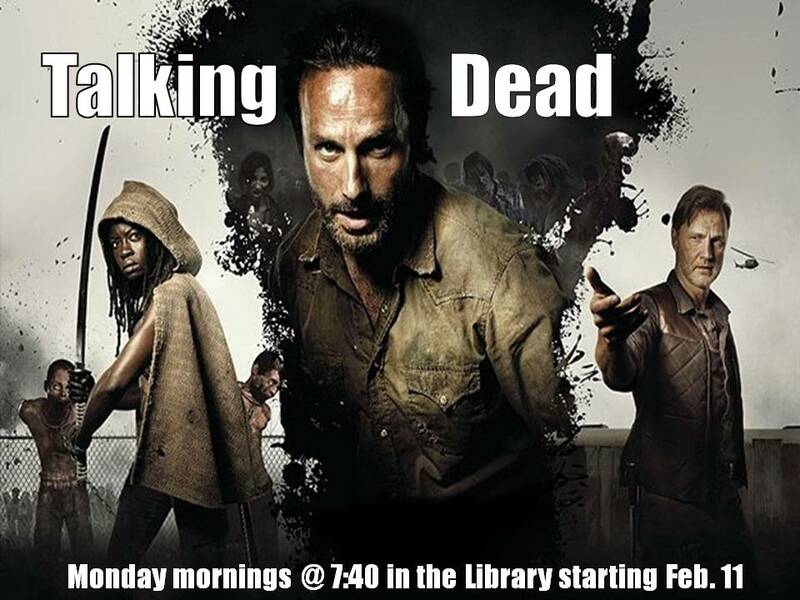 When AMC's "The Walking Dead" returns this Sunday - which, squee! 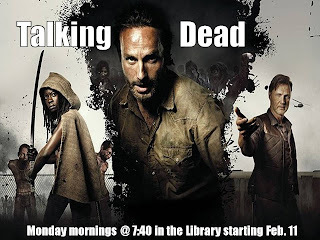 - my students who are fans of the show are going to get the opportunity to dissect and discuss Sunday night's show the following Monday morning in the library. Yep, Monday mornings just got a little less suckier! Last fall as the first half of season three aired, I found students dropping in throughout the next day to ask if I'd watched the previous night's show, sharing what they thought about so-and-so getting killed, wondering what the Governor was really up to, fangirling over how hot Daryl Dixon is...you get the picture. With such a huge student fanbase, I decided to tap into that and sponsor "Talking Dead." Every Monday morning starting Feb. 11, fans are invited to gather in the library before school at 7:40 so we can talk all things Dead. Great idea! Wish I could attend. Wonderful way to get the boys in there. I found your blog courtesy Janet who is also in my internship class. I love all your suggestions and ideas! 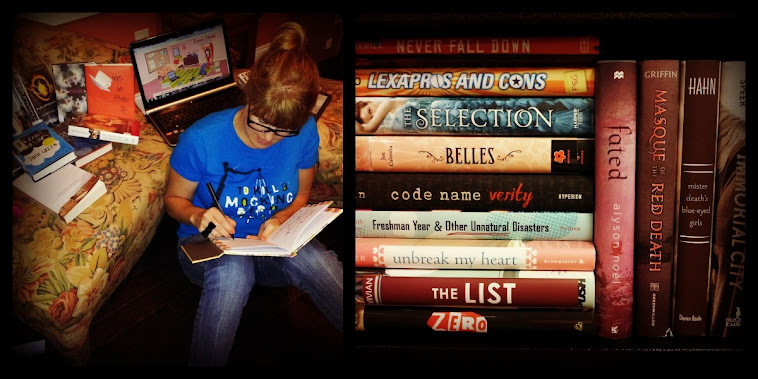 It is great to see a librarian at the HS level trying to keep their students involved. My question for you involves all your great posters. Do you make them yourself? If so how, if not what sources do you use? I create all of my posters using PowerPoint. Yup, PowerPoint. It's the easiest way to add and manipulate multiple pictures and texts. Most of my fonts come from www.urbanfonts.com - they have free, funky fonts you can add to your computer to use with the Office programs. Our district purchased a PosterMaker for schools to share, so I just save my PPT slide as a PDF and then print it out on PosterMaker. We can make posters 18x24 or 24x36. I appreciate all the help and info! I will be trying this out for our new books promo.